First, a word of explanation. If this is a supposed to be a blog about the Beatles as songwriters, why am I including cover versions? Our first cover version is a good example of why. 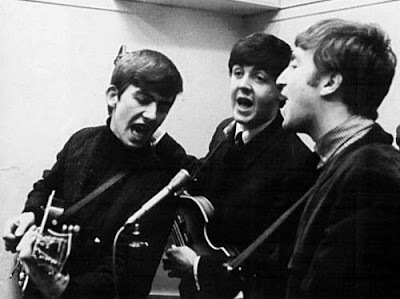 Though A Taste Of Honey is the worst cover on Please Please Me, oddly enough it’s very significant in the development of Beatles songwriting. 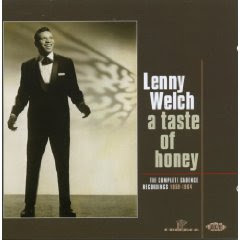 This cover of a Lenny Welch disc, originally a film title song, is an embarrassingly earnest folk-dirge. But it has three things that the Beatles later ‘borrowed’ for their songs. It’s the first ‘officially released’ Beatles song with a time signature change (from 3/4 to 4/4). It ends on the F# major chord (the ‘picardy’ third) even though the song is in F# minor (Dorian mode actually). This switch from minor to major crops up again in several Lennon/McCartney songs including I’ll Be Back. F# to F to E to D#. No wonder it sounds so sssshhhmoove…..
McCartney also used a similar chromatic motion in Michelle though the chord progression is slightly different. T15 Use a time signature change between sections (e.g. verse in ¾, chorus in 4/4). T16 In a minor key song try finishing on the major chord as a surprise ending. T17 Spice up your chords by putting in a chromatic counter melody within them. You could even try nicking this exact chord sequence. George Harrison got away with it! Junk is one of my favourite non Beatles Beatles songs.